Singer, Beyoncé stole the spotlight with her stunning look at the 2018 Grammys last night, and it has now been revealed she spent multi-millions of dollars to look that great. 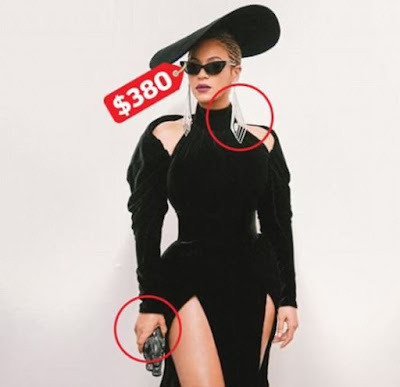 According to ET, the 36-year-old singer, who skipped the red carpet, but posted on Instagram, opted for $6.8 million worth of Lorraine Schwartz jewels at the event on Sunday night, in which her look also paid tribute to the Black Panther party. The site reported that the singer who stepped out with her husband Jay- Z and daughter Blue Ivy wore, 'a custom-made pair of 70-carat diamond and titanium geometric earrings with 35-carat centre gems. 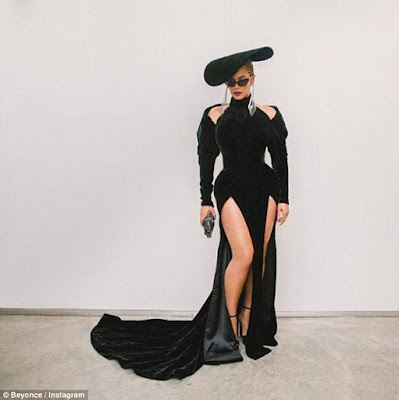 Beyonce also wore a black velvet gown which she completed with a slanted hat and killer heels by Jimmy Choo and a mini clutch bag by Judith Leiber. It was also revealed that her look was inspired by the Black Panthers.